At Hoyes, Michalos & Associates Licensed Insolvency Trustees we work hard to help individuals and families experiencing problems with debt. We can help you stop creditor calls, stop foreclosures and garnishments and eliminate overwhelming debt. We will talk to you about options, like a consumer proposal, to see if you can avoid filing bankruptcy. 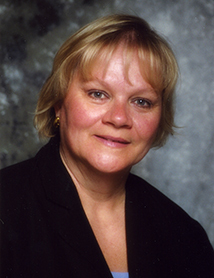 Our Oshawa trustee, Alison Petrie has been a Licensed Insolvency Trustee since 1995 and is a practising Chartered Accountant. She is dedicated to helping people find the right solution to their debt problems. She knows that not all situations are the same and that each person must be dealt with on an individual basis. Alison accepts your situation without judgement and conveys the facts in a simple, straightforward way that you can understand. When Alison tells you about your options, you will soon get the feeling you are speaking with someone who wants to help! Located in the heart of downtown Oshawa, right at the four corners, in the CIBC building, our Oshawa office serves individuals throughout Durham Region including residents of Bowmanville, Clarington, Whitby, Port Perry, Pickering and Uxbridge.